At long last, we celebrate Easter, and the resurrection of our Savior, Jesus Christ! Perhaps you’ve been steadfast in prayer, heartbroken and sincere in penance, and generous in alms-giving. Or perhaps you feel you’ve done too little, too late, for our Lord — perhaps you’ve slipped in your Lenten commitments or find that Easter has crept up on you almost unawares. 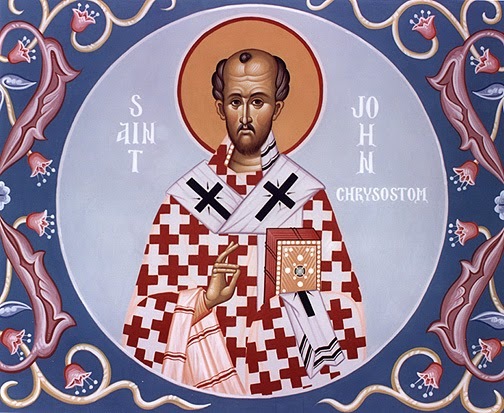 Either way, take comfort in the Easter homily below from St. John Chrysotom. Drawing on the gospel of Matthew, chapter 20, he reminds us that we never come too late to God and always receive full payment! He is risen, indeed — let us feast and rejoice this day like no other! Alleluia!